Vacation clothes are a lark: lightweight, lighthearted, usually simple, always packable. I don't drop serious money on summer-holiday wear: the season is short, and why worry about dribbling vinaigrette on a $300 top? But neither do I want to look like a retired gym teacher in dependable khaki. And the days of tying on a little sarong are over; I need more cover. I've discovered clothes by Lilikoi, sold at a neighbourhood boutique (Any Direct Flight, for Torontonians), other shops and on their web site. Lilikoi pieces are the intersection of interesting, functional and witty. 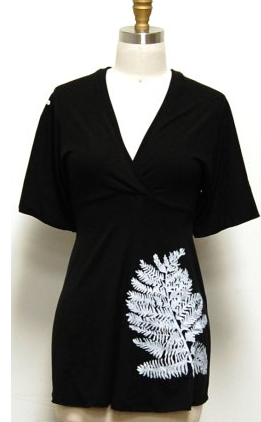 A top like the Karina ($110), of viscose made from bamboo, looks relaxedl but not sloppy. Okay, not cheap, but its virtues are many: hand-printed, from a super-green company and well-made by decently-paid people in Nelson, B.C.. My oldest Lilikoi looks great after three summers. Sizing XS to XXL. 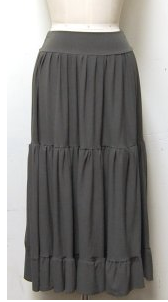 Rose Gar den dress, available in red, grey or black, $162. 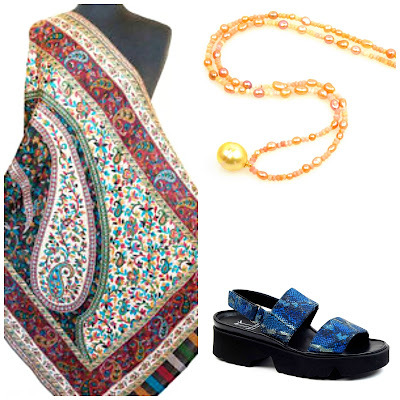 Wear to a seaside restuarant or city museum. And so much more comfortable on a plane than pants. Not all Li likoi pieces are printed; here's the Flamenco skirt, $132 in bamboo, organic cotton and spandex. Feels like baby clothes (in a good way). Grey, black and ivory. I don't like to carry jewelry on vacation, so usually take one pair with screw backs that stay put during any activity and dangles for evening. 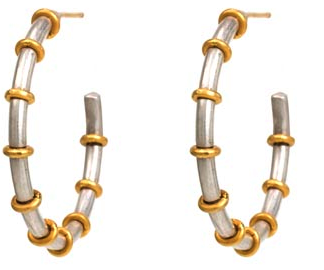 But if shopping for one versatile pair to wear with everything, I'd pick these Gurhan silver and gold hoops, 1 1/8 inch diameter, $525 from Twist. Or I'd wear Ross-Simons' 1 3/4-inch diameter turquoise hoops capped in 14k, price $125 (and 25% off), essence-of-summer against black, white, colours. When touring in the sun, a hat is wise. But I have left some costly chapeaux on chairs. Here's a good-looking packable straw cloche, the Cloche Belle (Style PA02). Not as massive as a huge-brimmed hat, so fits into your handbag, and it's only $16, from Berkeley Hat. 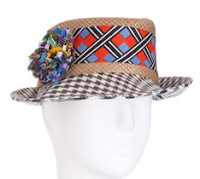 This witty Albertus Swanepoel hat is the other end of the spend spectrum, at $950 (from Barney's), a sly wink of a hat. Borrow the brio and add a bright band and flower to your Cloche Belle. 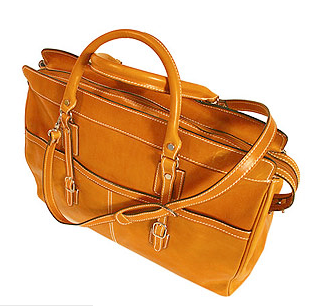 Pile everything into a sunny orange "Casiana" leather tote, $399 from Floto. When I really stop thinking, it seems so absurd, that we buy nice clothes, bags, jewelry to be worn on special occasions. For me, a special occasion would be a weekend trip to a nearby country. I would then wish to wear my best stuff, but instead, I have to think about packing light, not taking my jewels along, etc. Half of the fun of the trip is lost already on the first meters. I don´t have many opportunities to dress my best, a trip would have been one. Now, instead, I feel as if I have to dress like a tourist, backpack and all ; ) After thinking this all over, maybe I´ll just stay home. Those Lilikoi clothes are lovely - even the plain tanks in such a nice fabric, great wearable colours. No retailer in Québec - the closest is Ottawa; I'll write to them to see if they have much of a selection. That fabric packs very small; great for travel. And nice enough for the more casual type of work travel too - not international banking, but communications and academic, yes. Unfortunately the cloche - perfect for cycling in Amsterdam on a sunny day - doesn't come in sizes. I didn't have any luck at the downtown Bay store here but will look at Simon's, a small local chain (headquartered in Quebec City) that has very nice accessories. Metscan, Copenhagen (urban cycling again) is the closest I've been to your country. These clothes are beautifully packable. 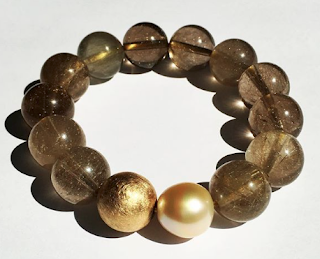 It isn't clear if it is possible to order clothing items directly from Lilikoi. These Lilikoi items are really lovely. Finding vacation clothes that are neither too young nor too much in "retired gym teacher" vein always seems to be challenge. It seems Lilikoi does offer online ordering through paypal, but I haven't tried it. I agree with Metscan about traveling being a celebration and hence wanting the nice stuff. No longer practical or wise in this day and age. It always seemed that packing was a balancing act, when I traveled. Thank you Duchesse for helping find ways to navigate the waters between "at home best" and "tourist togs". Holiday packing is a real challenge for me...I want to take something for every possible situation and weather and so I am delighted to see helpful posts like this one which shed light on this dilemma...I love the skirt and think it would be very versatile...I would add a pashmina too. metscan: Your comment reminds me of one made by Simon Doonan (creative Director of Barney's and author), who urges us to wear our "best" clothes everyday. I love this advice! But I only take it when I visit urban or (well, for me) of chi-chi places. He has more nerve and verve than I do. In low-key destinations and the developing world I would be uncomfortable, thinking I stand out too much. I've learned, metscan, that you are devoted to your animals so do not travel much but I am *sure* when you do, you are divinely stylish. lagatta: You could absolutely wear them in a casual workplace. Simons is a good bet- a matter of finding a relatively open weave with stretch. Duchesse - you never fail to give me a giggle. "Retired gym teacher," indeed. If I recall correctly, even the fully-employed gym teachers of my youth were not fashion role models. Duchesse:You are right, traveling for many other reasons too, has not been my "thing". If and when I do travel, it would definitely be to " civilized" places.I know that announcing this, might irritate someone, but on vacation, I´d wish to see the bright side of light. Lots of people travel to experience unknown and exciting places. There is absolutely nothing wrong with that. The circumstances on home front have been difficult for us for a long time, so traveling has been out of the question, but I too agree with SD´s opinion. I try to wear functional, clean and good clothes ( not forgetting beautiful lingerie ) in my everyday life. And if/ when I travel it would be a shortish town trip, a princess holiday, allowing me to take along just what I wish ) ; ). I went to Simons this week (so pleasant getting there with bicycle paths the whole way!) and didn't find a suitable straw. There was a nice wine-red canvas hat (prettier than Tilleys) marked down, but straw is less hot. Did buy a little cotton béret (that is just to protect scalp - in my case a recalcitrant part) from sunburn. Marked down at least 70% to 5$. Simons also has nice lingerie, but only XS and S remined in the summer gown I liked. They are contemplating opening branches in Ottawa and Toronto. They must have good buyers, as they have nice styles not seen everywhere, for a mid-point price: www.simons.ca They have a lot of own-branded garments, which alas is no longer the case for the more upscale Ogilvy and Holt Renfrew. lagatta: When last in Simon's (2 yrs ago?) I liked their coat selection, but some of the other goods looked a little generic. I really miss several boutiques- cannot recall the names now- that I shopped in 30 years ago (and would not afford or fit into today! 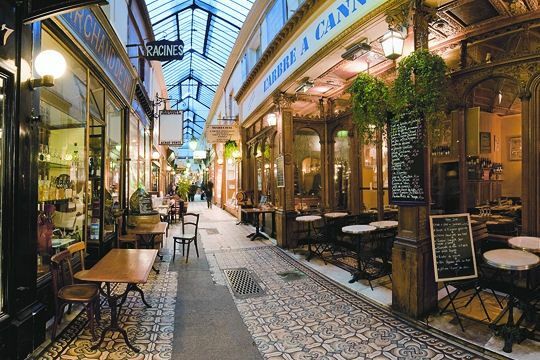 )One was on Montagne and sold all Japanese clothes, another, a tiny shop on St Denis that made exquisite blouses and shirts. There is a hat store on St-Denis now, have you been there?